In the shadows of skyscrapers sheep are grazing. In the rubble of construction zones gardens flourish. London’s City Farms make it possible for urban children to see how food grows, and to connect with farm animals and nature. There are about a dozen City Farms throughout London. I visited a couple. 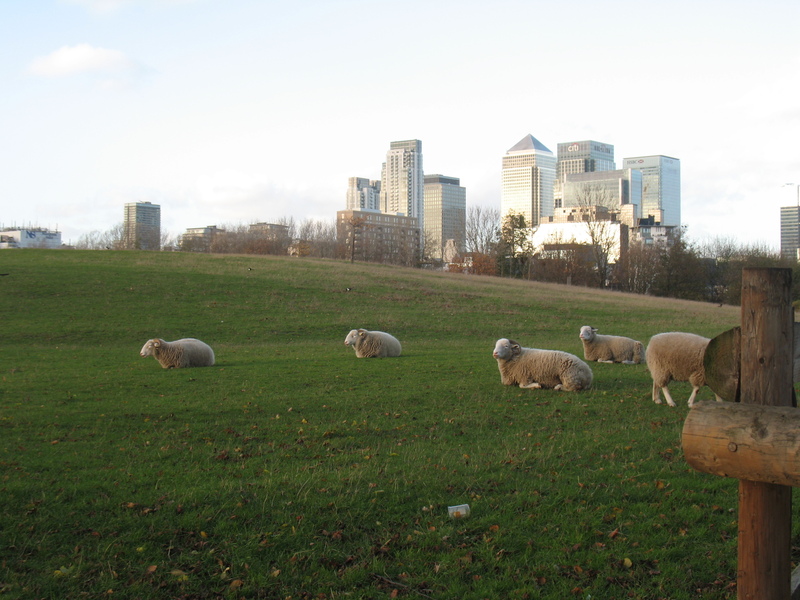 Mud Chute Park and Farm sits between the posh high-rises of Canary Wharf’s financial district and the transient neighborhood along the river Thames. This is not your well-manicured English park. It is natural and unruly. The 32 acre green has an equestrian center, chickens, ducks, pigs, sheep, community gardens, a restaurant, open fields and football pitches (aka soccer fields). The park is open to all, and children and adults alike can wander in the fields – in fact, they can wander in the very same fields the sheep graze in! Who knew humans and farm animals could handle close contact like this?! 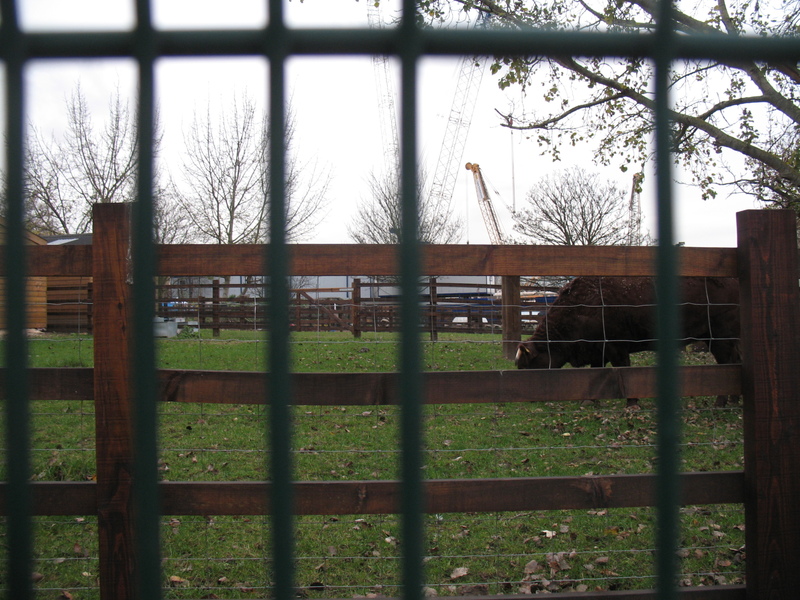 Across town, the Hackney City Farm also offers children the chance to grow food and interact with animals. Though smaller in size, the farm delivers very unique learning programs. Bicycle maintenance, beekeeping and, yes, basket weaving, are among their course offerings. How cool to be able to learn a trade before you’re 12! The Farm also offers school workshops on the chicken lifecycle, growing food, bike power and creative recycling. Brilliant! London is famous for its cultural amenities and everyone has easy access to the arts and parks. Its City Farms aren’t as prominent, but they are just as important. Connecting urban children with agriculture and rural experiences makes them more aware of the world around them – and may even provide them with a lucrative trade when they grow up!